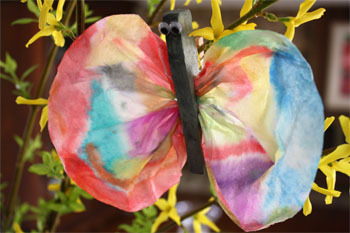 Decorate for Spring and Earth Day with these beautiful butterflies. 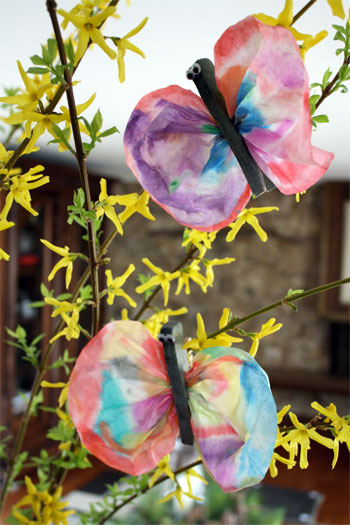 These butterflies are simple to make with very little supplies! Completely wet coffee filter and squeeze out extra water. 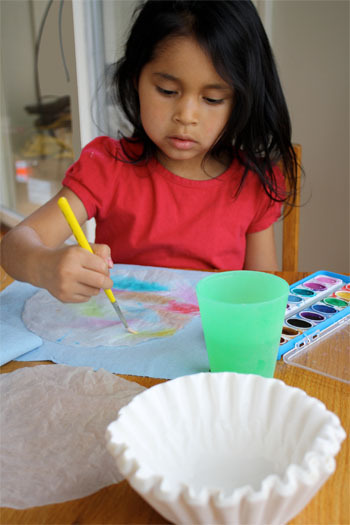 Paint the entire coffee filter with watercolors. 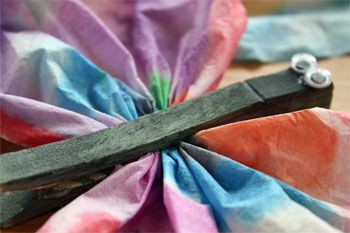 Paint the entire clothespin with watercolors. They could also be colored with markers. Allow coffee filter to completely dry. Gather the coffee filter into the middle of the clothes pin. Glue googly eyes to the top end. To make butterflies fly, attach fishing line to them and hang from the ceiling. We hot glued mini clothes pins (with the metal spring) to the backs so our butterflies could sit on our spring branches. What a great idea! I’ll have to do this with my playgroup this month! Thank you for sharing this beautiful idea. These will be hanging in my preschool classroom in Sydney, Australia very soon. My 4 year old preschoolers are going to love making them. We’re making these today! My daughter is sooo excited!! Thanks for the great idea! I make these all the time with my 1st graders. I just have them color the whole coffee filter with markers while it is still dry. Then we spray them with water using a spray bottle. Its fun for the kids to see them change into “tie-dye” looking goodness! They love it! Fun project. We do a whole unit on life cycles. Butterfly is my fave! we will be doing this tomorrow that is how easy it is 🙂 thanks for a fun idea for craft time tomorrow! 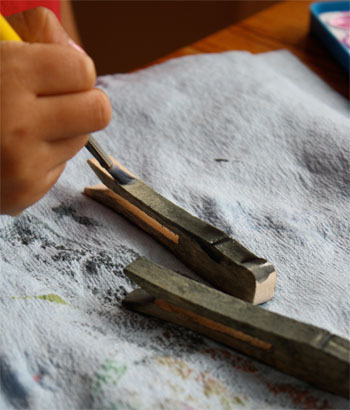 What a really fun project to do with younger children! too cute!